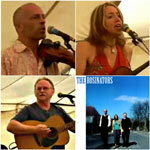 The Rosinators formed in 2001 and quickly established a reputation for their raw, uncompromising mix of bluegrass, Cajun and gospel country, and their dynamic three-part vocal harmonies. Twin-fiddles and acoustic guitar make up their distinctive sound, augmented with banjo and mandolin, with the addition of string bass and drums for some shows. The band, whose repertoire ranges from traditional a cappella to their own twenty-first century country blues, play roots music from the heart. Since the release of The Rosinators eponymous debut CD in June 2003, a busy touring schedule has taken them to new audiences in Holland, Ireland and the UK, including Brighton, Bath and Cheltenham fringe festivals, in addition to playing main stages at major British folk festivals from Bridgnorth to Broadstairs. Last year they were selected as one of six finalists in the Glastonbury Unsigned Band Competition 2004 (Acoustic Stage), and in June 2005 appeared on the Left Field Stage at this year's Glastonbury Festival. The band, who recently received the "Hotdisc Best Track of the Year" Award at the 2005 UK Country Radio Awards Show, also appeared at the Edinburgh Festival Fringe in August. "When American roots music deejays rave about bluegrass passion, Cajun verve and country gospel authenticity, you know that The Rosinators are the real deal. From deep in the heart of Balham Alligator territory, the London based trio have added their own stamp to the American old time tradition so convincingly that most of their radio airplay comes from US stations. Formed in 2001, they blazed out of the traps with dynamic three-part vocal harmonies and fiery twin-fiddle attacks driven by crackin' guitar picking." Really enjoying the wonderful harmonies and the picking----too cool!!! i thought i was on that train up at country affair pip. * Your song 'Joli Blon' has just been added to My Old Kentucky Home station! * Your song 'Joli Blon' has just been added to highway 66 WITH PIP & merry station! * Your song 'Joli Blon' has just been added to A COUNTRY AFFAIR station! * Your song 'Orange Blossom Special' has just been added to McLean Corner station! * Your song 'Little Sadie' has just been added to McLean Corner station! * Your song 'Orange Blossom Special' has just been added to RTA station! * Your song 'Little Sadie' has just been added to RTA station! * Your song 'Little Sadie' has just been added to WROK station! * Your song 'Little Sadie' has just been added to Across the Pond Acoustic Station station! * Your song 'Orange Blossom Special' has just been added to A COUNTRY AFFAIR station! * Your song 'Little Sadie' has just been added to Bob Dylan Tribute station! * Your song 'Little Sadie' has just been added to My Old Kentucky Home station! * Your song 'Orange Blossom Special' has just been added to My Old Kentucky Home station! * Your song 'Orange Blossom Special' has just been added to The Country Rose Show station! * Your song 'Orange Blossom Special' has just been added to highway 66 WITH PIP & merry station! * Your song 'Little Sadie' has just been added to highway 66 WITH PIP & merry station! * Your song 'Little Sadie' has just been added to COUNTRY AFFAIR with pip & merry station! 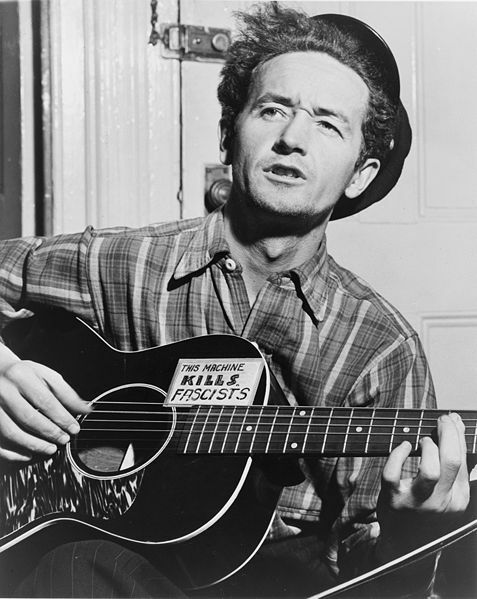 * Your song 'Old Joe Clark' has just been added to Pasture Pies and Meadow Muffins station! * Your song 'Old Joe Clark' has just been added to MOUTAIN RADIO FM station! * Your song 'Old Joe Clark' has just been added to Nice Sensations station! * Your song 'Old Joe Clark' has just been added to Get Down Music Nashville station!